Haysville Kansas, known as the “Peach Capital of Kansas” is a suburb of Wichita located within Sedgwick County, located directly next to I-35 and US Route 81. Wichita is only about 12 miles away, providing easy access to the city proper for commuters. The town was first established in the late 1800s, by W.W. Hays. As of the 2010 census, there were more than 10,826 people living in Haysville, primarily in single-family homes. 56% of the population were married couples living together. There are a total of 4,087 housing units. The median household income in the area was $46,667, as of the 2010 census. Like the rest of Wichita, the cost of living is relatively low. For education, the city is served by the Haysville USD 261 school district, which operates a total of 11 public schools in the region, as well as a few special programs. Norland Plastics is the largest employer in the town, but most residents do not work within Haysville, and instead commute to other nearby towns, or to the city of Wichita for employment. The town has many yearly events, including the Haysville Fall Festival, Village Christmas, the Community Expo, and the “Springnanigans” children’s festival held in the Haysville Historic District. If you want to learn more about this Wichita suburb, you can explore it in more detail with the following links, which will allow you to explore more information about the city and its infrastructure, as well as schooling and statistics related to home ownership and more. 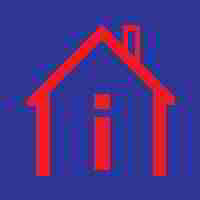 Do you need your Haysville home inspected?